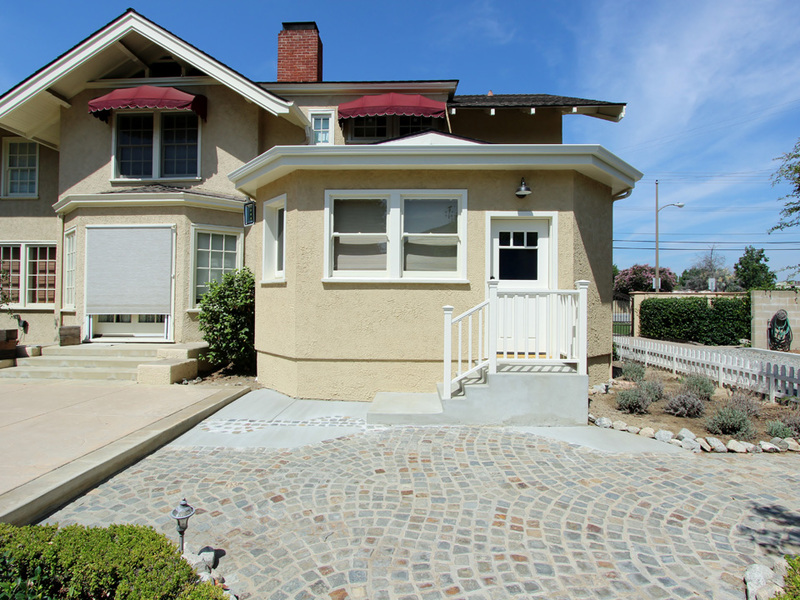 The new owners of this 1908 Historic Wagner house in city of Placentia wanted to completely remodel the house along with the kitchen but keeping the character and style of this historic home. It was a fine line between upgrading everything and choosing the right materials in order to perceive the beauty of this Wagner House. 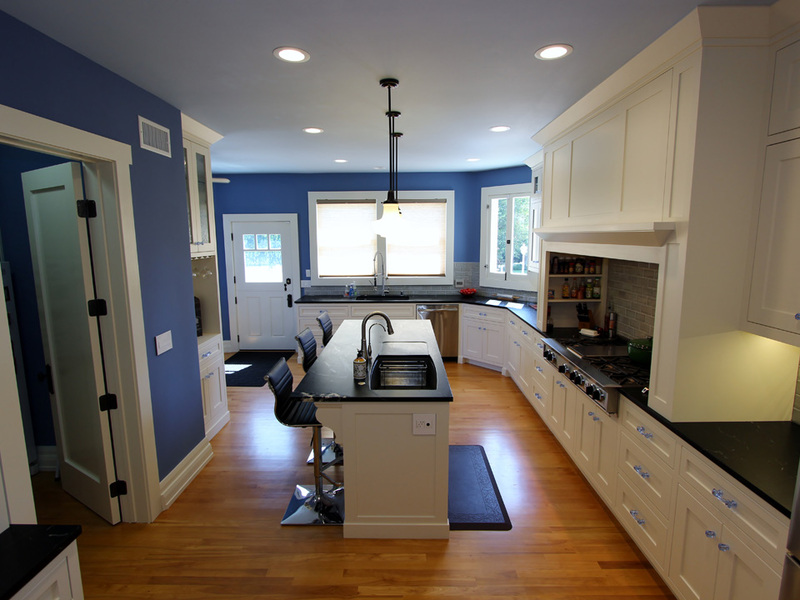 Out team at APlus Interior Design & Remodeling was hired to accomplish this task along with extending the kitchen further out to create a larger place for the family to spend quality time. 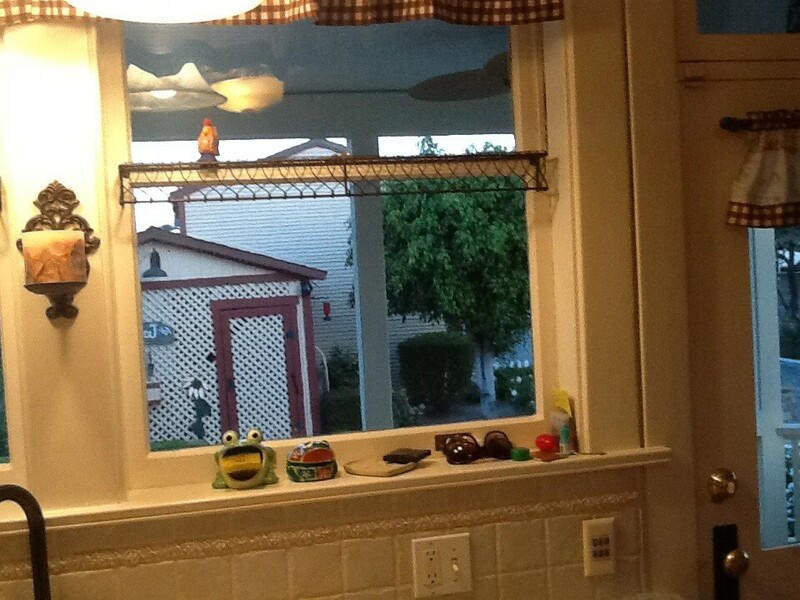 The original kitchen was very basic and cluttered. By failing to provide pleasing aesthetics or even enough room for storage and easy movement, it became a major sore-point for the owners. They were more than eager to give it a vibrant facelift through an APlus renovation. 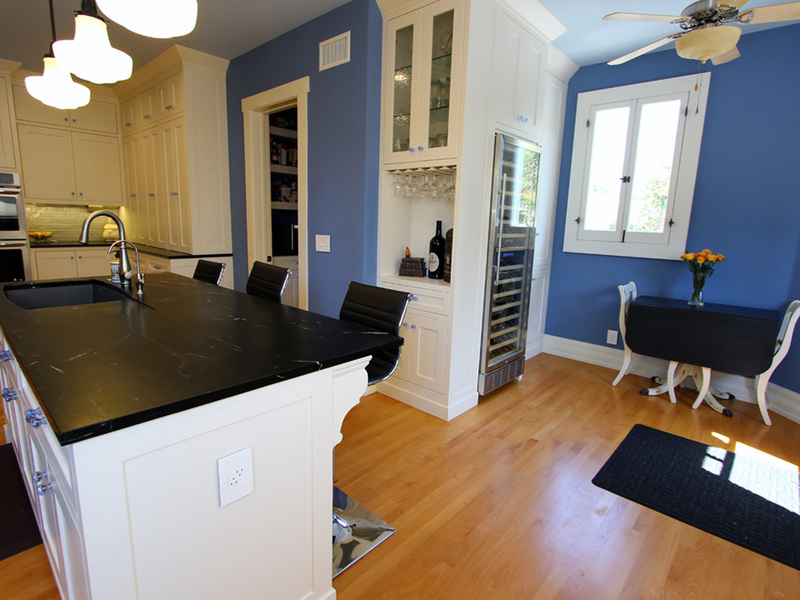 The kitchen’s total space was not enough to accommodate the needs of the owners, no matter how the layout was changed. That’s why our first task was tearing it down to the foundation, and installing a kitchen extension. 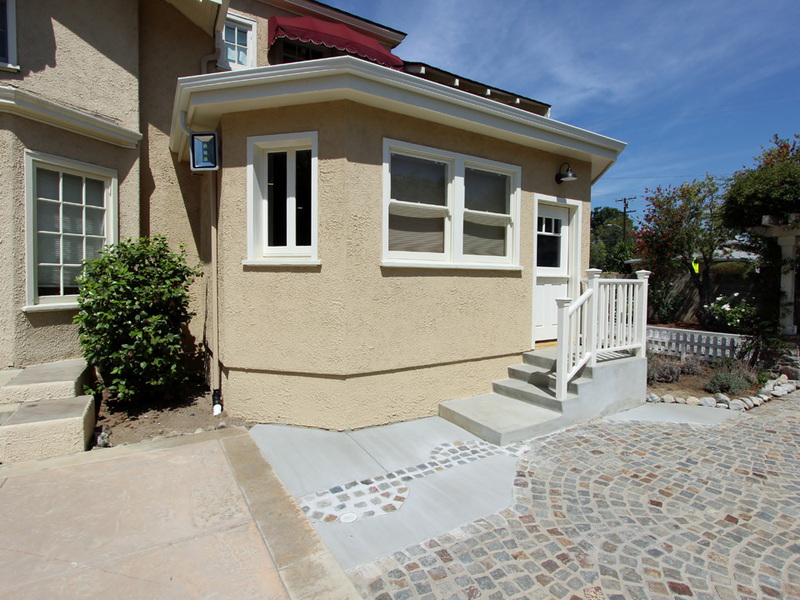 We removed the outer wall and pulled it out several feet, giving it a beautiful exterior finish that blends with the rest of the home’s appearance. With the added space, we could then start building the new transitional U-shaped kitchen. 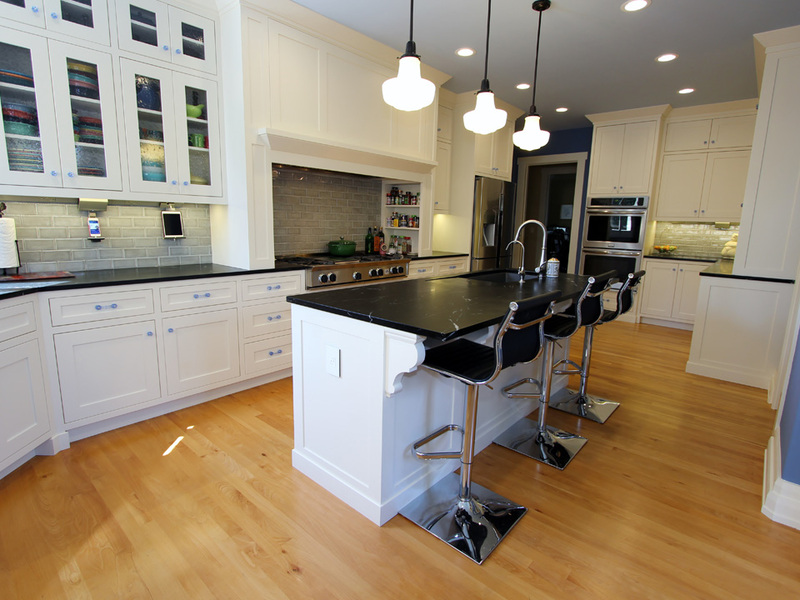 Hardwood floors were installed in a pale golden hue, establishing a warm base for the new cabinets. 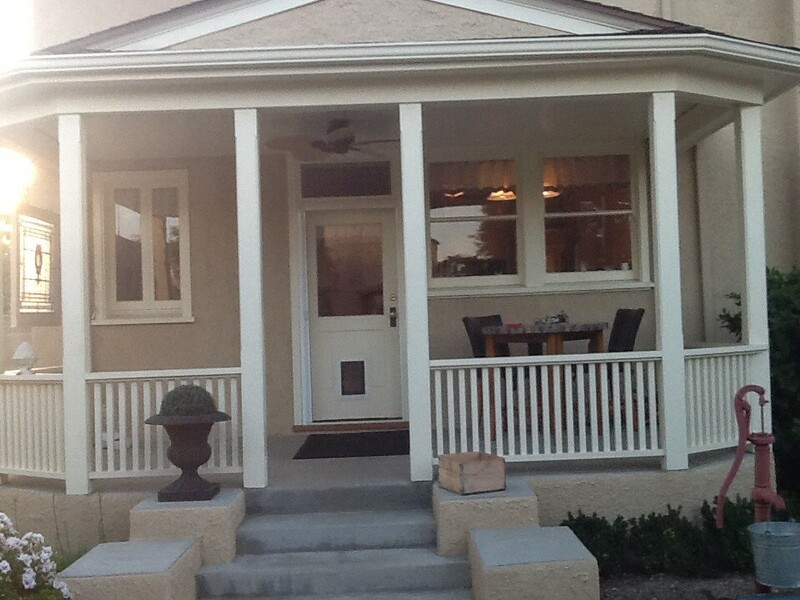 We built them with an Inset Face construction, with Shaker-style doors and crown and shoe molding. The cabinets around the stove area were connected with a stately hood that has inner shelving for spices. Some of the doors of the upper cabinets have seeded glass panel inserts, and all of the cabinetry is accented with charming blue glass knobs and handles. These handles match the cheery new cornflower blue wall paint. In one of the corners of the kitchen, part of the cabinetry was configured to be a pull-out workstation, giving the room extra practicality. 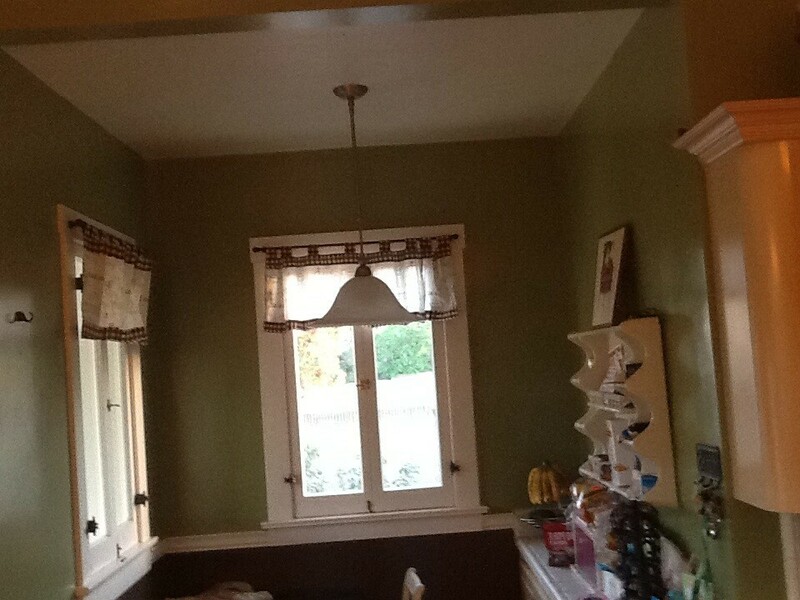 Additional cabinetry and shelving was installed in the cozy pantry. 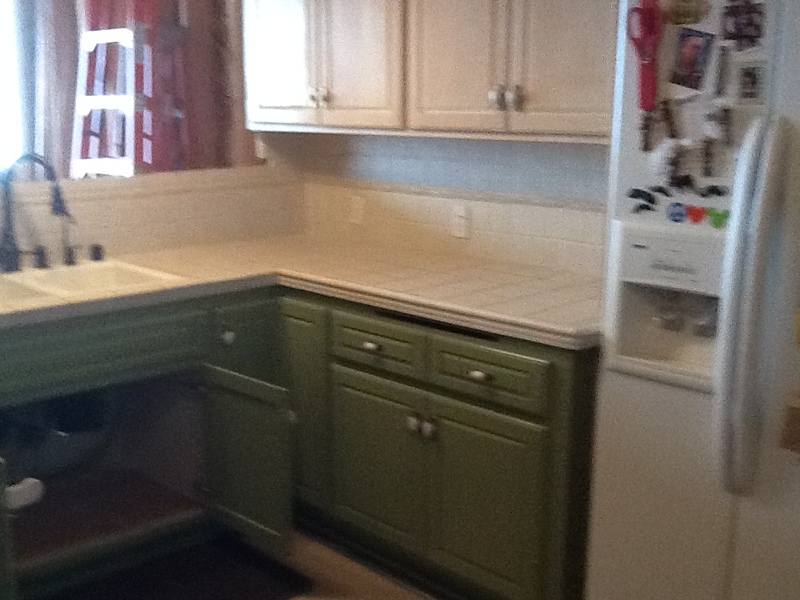 A center island was also built, with its own sink and bar stools for casual dining. Between the upper and lower cabinets, we put in a Highland Park Dove Grey Backsplash. 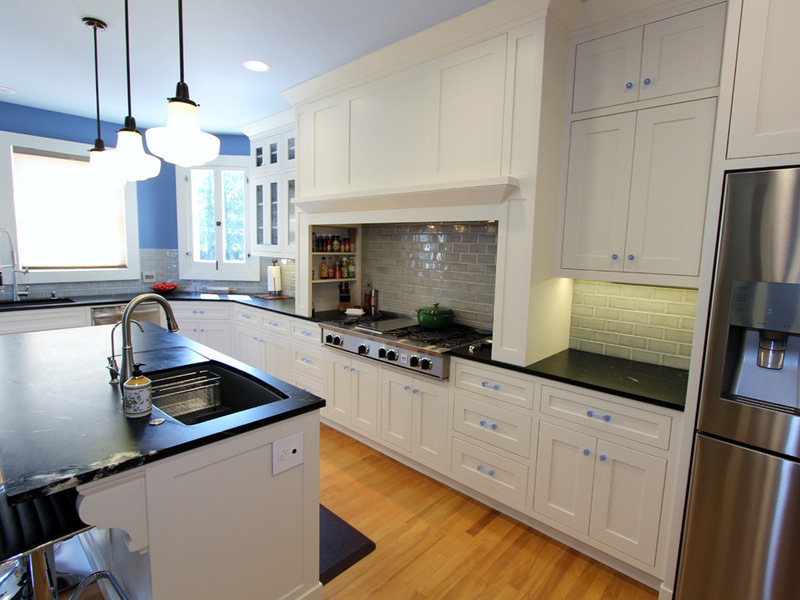 Black Honed Soapstone Countertops with 1 ½” Straight edges were installed throughout the kitchen, adding contrast to the bright palette. The focal point of the kitchen lies at the hood, which contains an Imperial Ventilator Insert with Baffles mounted over a Bluestar 60” Rangetop with Island Trim. Blanco Silgranit II Diamond Super Single Dual Mount Sinks were mounted both on the island and on the far side of the kitchen, next to the GE Stainless Steel Interior Dishwasher with Hidden Controls. Frigidaire 30” Electric Double Wall Ovens were built in adjacent to the Samsung 32 cu. ft. 4-Door Refrigerator with Convertible Zone. In the pantry, Kenmore Elite 16.7 cu. 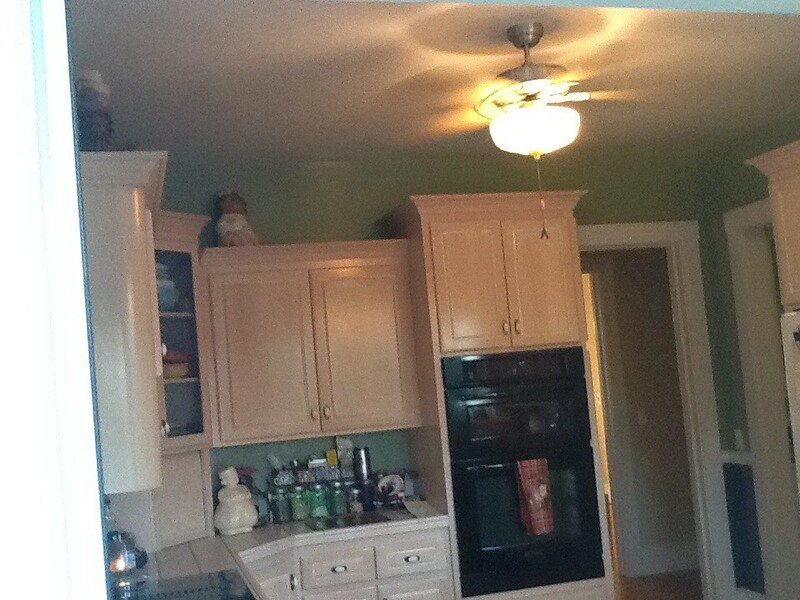 ft. Upright Freezer was built into the cabinetry, and a Samsung 1.1 cu. ft. Counter Top Convection Microwave was placed on the counter as well. APlus also renovated the home’s powder room in the same style as the kitchen, building a simple vanity with the leftover kitchen materials. 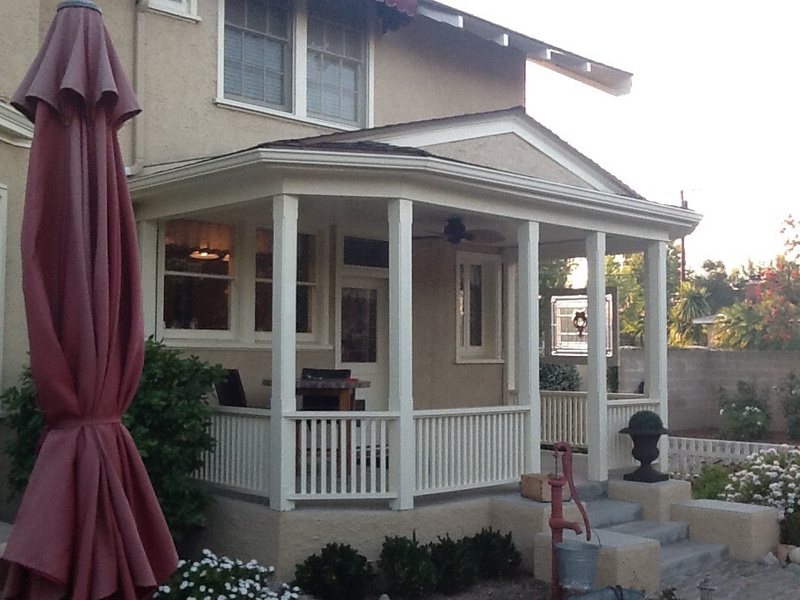 Renovating your Orange County home can majorly boost its value, comfort, and appeal. If you’d like to receive a quote for your own remodeling project, get in touch with our Staff today!